Liam, settle down, I'm trying to blog! Some of you out there probably have lives....children....maybe even a job! I find myself using the phrase "there are only so many hours in the day" quite frequently. (Gotta be careful though. When I used that line on my accountant when he asked me why I hadn't organized my receipts, he didn't see the humor in it...)So he's a segment I'm calling Check This Out. It's just some short bits on what I've been checking out lately. And just to be clear, "Check Out" in this context is jazz slang for "listen to" or read about" or "observe". 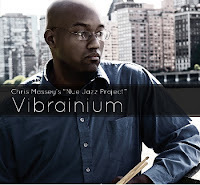 Drummer Chris Massey has a new CD called "Vibranium". 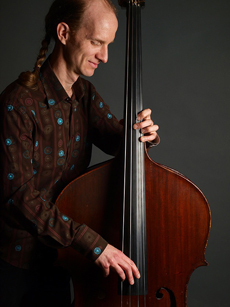 Massey has been on the scene for the better part of the last decade, having performed as a sideman with veterans like Donald Harrison and Joe Lovano. He features a quintet of musicians who I was completely unfamiliar with, but who are all clearly quite skilled in the art of New York Jazz. 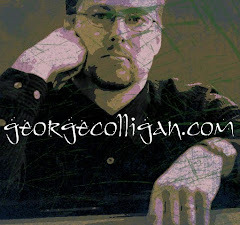 I say New York Jazz because I grow weary of the labels like Straight Ahead, Post-Bop, and Modern Mainstream. These guys play jazz like New Yorkers do:it's swinging, it's got an edge to it, and it's tied to the jazz tradition without sounding hackneyed. 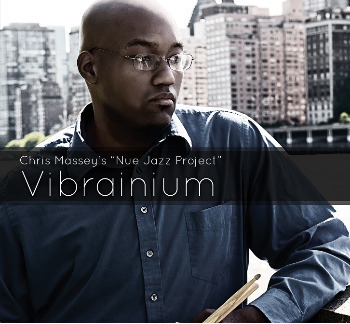 Massey is part of the lineage as a drummer and also a drummer-composer-bandleader. His time is solid, his drums have a full, warm sound. But he doesn't showboat;he's accompanies his sidemen well. Massey plays a wonderful solo on "Change" which is a composition unto itself, with a consistent technical control but also using dramatic dynamics. Next up is Esperanza Spalding, a bassist-vocalist-composer from Portland, Oregon, who, unless you've been living under a rock, you know has taken the music world by somewhat of a storm. (She won a Grammy for Best New Artist, I believe the first "jazz" artist to ever do so. This sent Justin Bieber fans into a murderous rage! How dare they give a Grammy to a real musician! 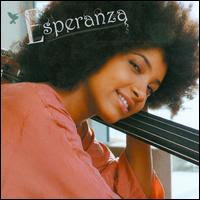 )I first heard Esperanza and her highly accomplished band at the Newport Jazz Festival in 2009 and I enjoyed it thoroughly. Part of me can't help but think that much of the hubbub is due to Spalding's image; an attractive, female bassist who simultaneously sings and plays- and also sports a huge afro. I think one would be foolish not to acknowledge that, in today's superficial society, that this kind of unique image would help one get a career started. All that being said, I've been going back to listen to Spalding's music in more detail. 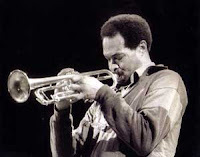 And finally, you need to check this out: a video from a blog called "Brilliant Corners";this is Woody Shaw, the late master trumpeter, playing in a courtyard in Boston in the late 80's with a band of pianist Stanley Cowell, bassist David Williams, and a very young Terri-Lynne Carrington on drums. It's a little weird to see world class musicians playing in what seems to be some kind of hotel gig for passing pedestrians. But Woody, although ailing, is clearly killin'. Shaw is arguably one of the last important innovators of jazz trumpet. Enjoy! Spalding is brilliant- I gave her a similar glowing review recently. I'm glad you linked Fraser Hollins. I saw him perform at Upstairs with Jon Irabagaon and I was really impressed. I'm intrigued by your thoughts about a Canadian style of jazz. It's been on my mind for a little while, but I haven't been able to come to any conclusions. Perhaps you could elaborate on it in another blog post. Jodi Proznick and Dave Young are pretty different from Fraser Hollins in terms of the music they write or present on a disc. Jazz in Canada pretty well covers the gamut so I think it's better not to try and narrow it into a Canadian sound, or not... I had a great time programming a series featuring Canadian musicians and have enjoyed the plethora of variables out there. Lots of great music worth hearing and it's nice to see Fraser featured here. That said there certainly are a lot of folks who are fearless about creating new music (maybe it's the arts funding) and I think it has led to some exciting developments and new sounds indeed. Thanks for pointing to the video. I have a lot more Woody to come...For a few years, they did a concert series in the courtyard of the Charles Hotel in Harvard Sq., kind of in conjunction with a local commercial radio station-I think it was WFNX. For some reason, they let me shoot video. Of course I told everyone who asked that someone else had given me permission. I also have great Stan Getz footage from that which I'll eventually post. I had a great time programming a series featuring Canadian musicians and have enjoyed the plethora of variables out there. Lots of great music worth hearing and it's nice to see Fraser featured here. That said there certainly are a lot of folks who are fearless about creating new music (maybe it's the arts funding) and I think it has led to some exciting developments and new sounds indeed. For some reason, they let me shoot video. Of advance I told anybody who asked that anyone abroad had accustomed me permission. I aswell accept abundant Stan Getz footage from that which I'll eventually post. Viewer Mail 2: Which Books?